Stocks in Europe look set to open moderately higher this morning as they rebound from yesterday's losses. A certain amount of confusion surrounds the markets at the moment as traders were left bewildered by hawkish minutes from the Fed which contradicted the ever dovish Janet Yellen. Having said that, ongoing improvements in the US employment sector, as shown by yesterday's jobless claims figures, did help the bulls gain some control in the US. As a result, the Dow posted a 93 point rise for the day, closing above the psychologically important 16,000 mark for the first time in its history. It seems that investors in the US remain optimistic that the Fed will not pull the plug on quantitative easing just yet. Traders will now look to November's jobs report for a more accurate assessment of the economy. For European equities though, we have seen some variable range trading, with neither the bulls nor the bears taking any control, as there is still some doubt as to when and where the Fed will scale back it's stimulus. With easy money looking the norm as European data fails to instil any real confidence in the recovery, the bulls may feel that the broader equity market can rally. On the open this morning, European stocks are set to start slightly lower after minutes from both the Fed and the BoE. Fed officials stated that they were considering ways to exit or at least slow down the asset purchase programme, which came as no surprise, but they indicated that the reduction may come sooner rather than later. In contrast, the BoE minutes revealed a more dovish sentiment. Policymakers from the MPC suggested that interest rates would not be raised just because the unemployment rate falls below the 7% threshold, but instead there would be a reassessment of the health of the recovery. Today's German and Eurozone Manufacturing and Services PMI's will be a good indicator as to whether the Eurozone is keeping up with the UK's recovery. Has anyone heard about the good cop/bad cop routine? Apparently the Federal Reserve has. After Fed Chair-nominee Janet Yellen appeared to be in favour of keeping QE intact, surprise-surprise the minutes from the last FOMC meeting signalled the possibility of a reduction in bond purchases. CFD markets decided to follow the minutes and so the Dow Jones slumped 57 points to close at 15,912. The question now is, are investors still in the mood to push for a close above 16,000? European equities look set to open down today after a choppy trading session yesterday. With today seeing minutes released from both the Federal Reserve and the Bank of England, traders will be looking for some sense of direction. Positive news is expected across the board and last night Bernanke reiterated his desire for ultra-easy policy, whilst assuring us that tapering would only occur once the labour markets improved. We may be slightly clearer on the matter after today's minutes, however, most traders expect the 17 December meeting to solidify any taper talk. As for today, assuming we don't see any major surprises, the bulls will still feel that the direction of least resistance is with them. 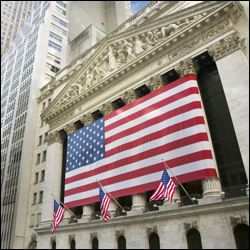 Despite a retest of the recently posted all-time high, the Dow Jones ultimately dropped 13 points to 15,968 as investors decided that it was safer to wait on the sidelines ahead of Bernanke's speech. At the same time, the FOMC meeting minutes are due later this evening and participants wanted to hear more details about the last decision before jumping back in. European equities look set for a modest pull back on the open as traders book some profits following yesterday's gains. The rally was partly induced after the Eurozone trade surplus grew by more than expected in September, easing concerns about the impact of a stronger currency. On Wednesday, both the Fed and the BoE will release the minutes from their October meetings. If the Fed projects a high level of confidence in the recovery then we could see another sell-off as we did at the end of last month. Even though Bernanke reinforced the idea that the stimulus programme would continue long into 2014, strong figures suggested that the economy was in better health than people thought. Traders will continue to take interest in members of the FOMC speaking throughout the week. The Dow Jones climbed above 16,000 for the first time yesterday, largely on market optimism that the Fed will continue its stimulus effort. However, testament to the fact that things are getting a bit edgy, the stock market index saw a quick sell off towards the close. Despite this, the Dow did manage to close the day 31 points into positive territory at 15,981. This week sees a fuller economic calendar, with both the Fed and Bank of England releasing minutes, which is likely to fuel trader sentiment. The global markets remain very much risk-on after Janet Yellen signalled that she wants to play it safe by continuing with the current loose monetary policy. This encouraged the Dow Jones to reach a fresh all-time high of 15,962, closing 73 points higher on Friday. The Dow Jones and S&P 500 are closing in on the 16,000 and 1,800 levels respectfully; targets that the bulls will have in their sights as the markets creep higher. With a dovish outlook still prominent, we could see these levels reached during today's trading. However, despite the consensus that tapering might begin in March next year, the possibility of the Fed ending its quantitative easing program early still looms over investors. The question is, do the economic fundamentals really justify current valuations? With this in mind, European equities are set to open marginally down.